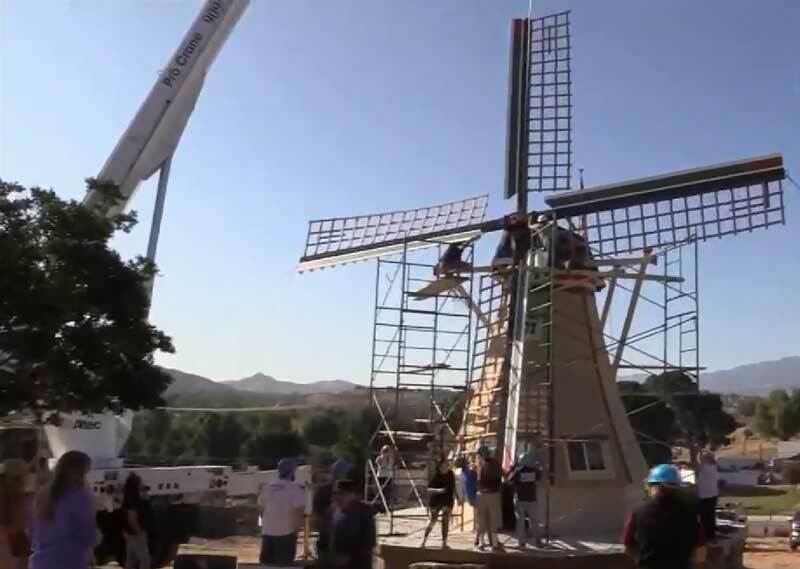 It took Dutch immigrants Theo and Jeanne Zoetemelk about four years to get the permits, but they finally have a 40-foot windmill at their home in Norco, California. Years ago Theo promised his wife he would build her a windmill for her garden. She was happy with the the scale model he made for her. However, she was surprised when he told her he was planning a full-size version. With some help from friends, the retired boat builder has finally put up the last sail. The windmill, a 50th wedding anniversary present, has gears and a generator inside. 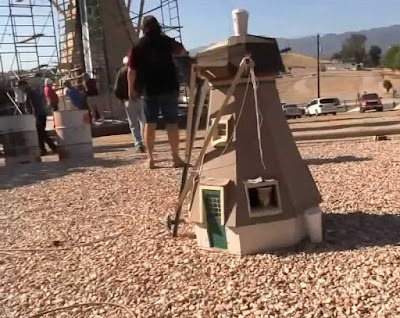 When fully operational, Theo says it will produce eight kilowatts of electricity.